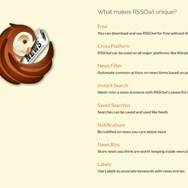 Read and manage RSS Feeds. Read and manage Atom feeds. 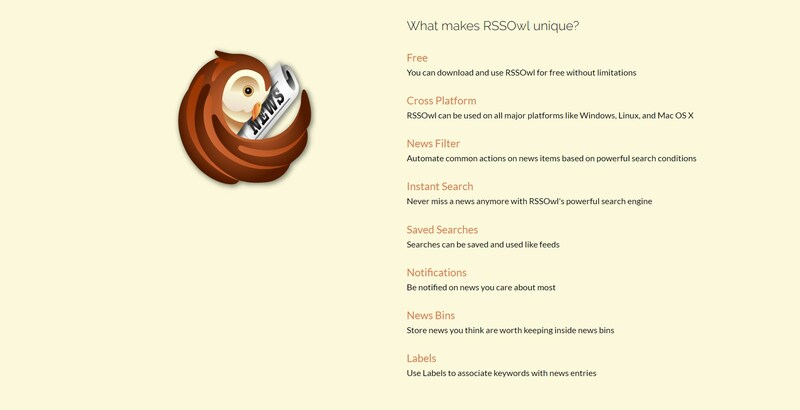 What is the license type of RSSOwl? 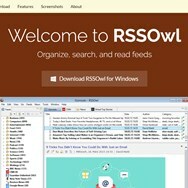 RSSOwl is an Open Source Product. What are all platforms are supported by RSSOwl?